During our working career, we often look forward to our retirement years. 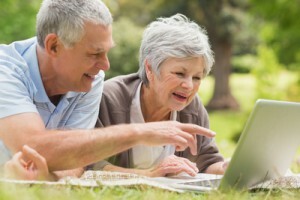 However, we often forget that retirement usually comes with a reduction in income. When we retire our income usually drops as we now only have government CPP and OAS and possibly some sort of pension plan through our former employer(s) to live on and little in the way of retirement savings. All of these sources of income put together are almost always less than our regular working paycheque. Along with retirement you now face the possibility of additional costs that traditionally may have been paid for by an employer sponsored benefit plan. These costs would include health care, dental, medical service plan premiums and so on. As well, the cost of living appears to be rising faster than your pension income. Accordingly, it is not uncommon to use credit cards to supplement our income when these additional costs arise. We may consider using one credit card to pay down another when the introductory interest rate on the new card is less than the one we are paying off. This is one of the warning signs of financial difficulty and its time to take stock of your expenses and perhaps make lifestyle adjustments to ensure that you are living within your means. No matter what your income level is we should all be aware of what our monthly and annual expenses are. We need to keep on top of these on a regular basis. Unfortunately sometimes we have allowed the situation to continue longer than we wanted to a point where our debt load becomes unmanageable. At this point or preferably sooner you need to seek the advice of an Chartered Insolvency and Restructuring Professional (CIRP) to understand what options and solutions are available to you when facing this crisis. These professionals are individuals who are members of a national professional organization (Canadian Association of Insolvency and Restructuring Professionals) with strict ethics and codes of conduct including rules with respect to advertising, training and licensing. These individuals are licensed by Industry Canada and are also governed by a federal statute called the Bankruptcy and Insolvency Act. As an insolvency professional, we are aware of the stress that debt can cause. We are educated in what options are available and can assist you in solving your financial crises. When facing financial challenges, we realize that you’re looking for people you can trust to be discreet, professional, and people who can put your mind at ease. Trustees will only recommend bankruptcy as the last resort. We understand that nobody chooses to go bankrupt but often it is the only choice that will work. At Boale, Wood & Company Ltd. we offer a free initial consultation with an experienced professional to understand your options. Many Trustees’ firms delegate this important function to a less experienced administrator. Your decision is too important for that.